Design your space to be both an elegant place to entertain and a casual retreat for your family when you place this reclining chair in your living room. 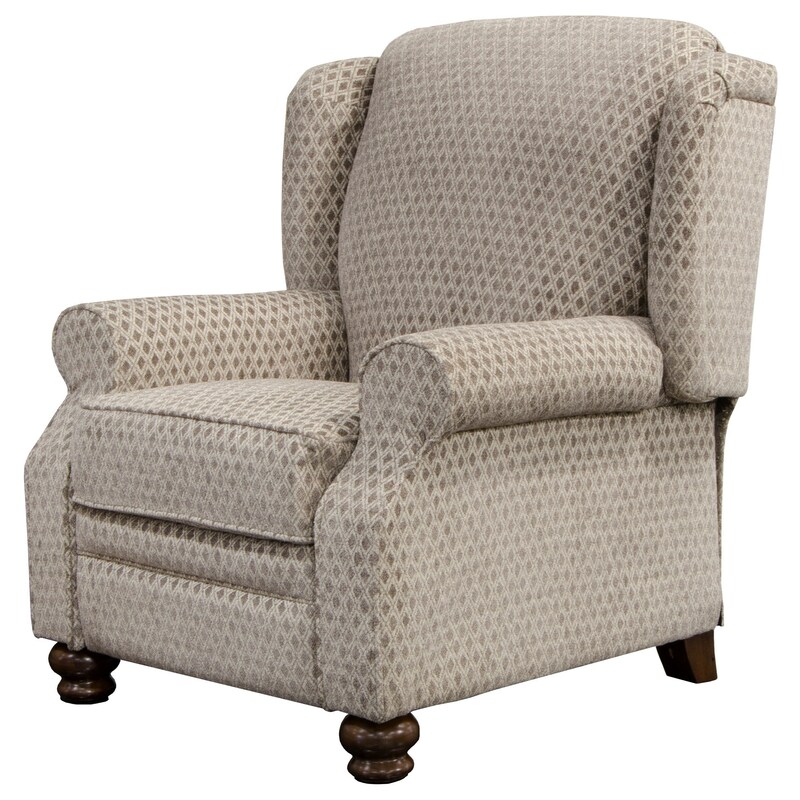 Thanks to its refined design, you can have a comfortable recliner in your living room, without sacrificing style. The Freemont Transitional Reclining Chair with Rolled Arms by Jackson Furniture at Virginia Furniture Market in the Rocky Mount, Roanoke, Lynchburg, Christiansburg, Blacksburg, Virginia area. Product availability may vary. Contact us for the most current availability on this product. This collection is a wonderful addition to the home of avid entertainers and lover's of family game night. The transitional style of these pieces lend themselves to both casual days and refined nights spent with friends or family. The Freemont collection is a great option if you are looking for Transitional furniture in the Rocky Mount, Roanoke, Lynchburg, Christiansburg, Blacksburg, Virginia area. Browse other items in the Freemont collection from Virginia Furniture Market in the Rocky Mount, Roanoke, Lynchburg, Christiansburg, Blacksburg, Virginia area.